Ford Ranger Performance, Engine, Ride, Handling | What Car? There are three engines, all diesels, to choose from. These are four-cylinder 2.2-litre units with 128bhp or 157bhp respectively and a 197bhp five-cylinder 3.2-litre unit. We wouldn’t bother with the 128bhp engine, because it comes only in the very basic two-seater Regular Cab with rear-wheel drive and isn’t very quick. The 157bhp version, meanwhile, may grumble into life with a raucous clatter when you start it up, but it nevertheless provides the poke you expect from a vehicle intended to haul heavy loads. It feels suitably muscular from low in the rev range, enough certainly to pull heavy payloads or whizz along easily at motorway speeds. The entry-level Amarok is brisker still, mind, and its engine smoother; the Ranger's ever-present diesel clatter means you can't hope for the peace and quiet of an SUV on the motorway. Then again, engine, road and wind noise are better suppressed than in some other rivals, such as the Navara. The 3.2-litre engine is a little smoother but not much quieter. It is quicker, though, giving you some added surge that’s particularly helpful when joining motorways or overtaking. The Ranger's manual gearbox has a longer throw than the Amarok's, but it's more accurate, making it easier to row between the gears. 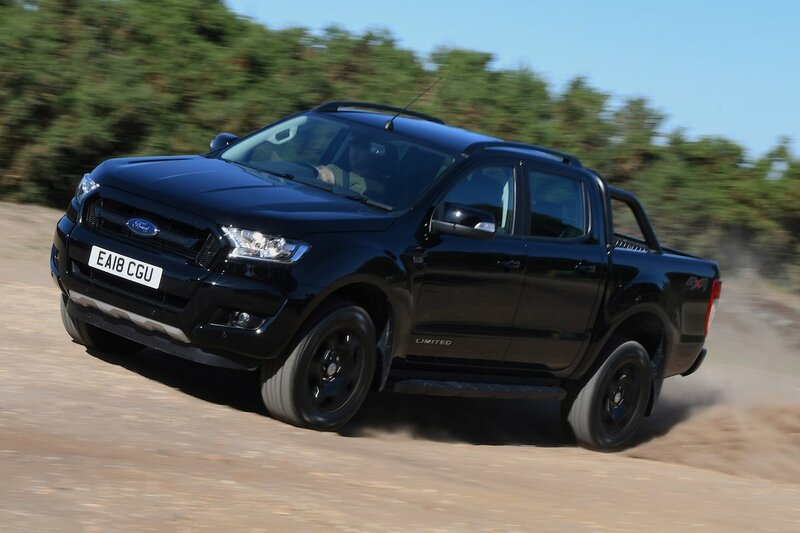 Just be aware that the clutch is quite aggressive, so you need some practice to manage smooth getaways from the lights, but it's still the 'box we'd pick in the Ranger; the optional six-speed automatic is rather sluggish and dimwitted. As for the ride, the Ranger, like all pick-ups, bobs around even over small undulations, becoming bouncier and more unsettled as the surface gets worse. However, its decent ability to absorb the shock of bumps still sets it apart from firmer rivals such as the Navara, so while it’s hardly cosseting, it's one of the better-riding pick-ups out there, along with the Amarok. And although handling isn't all that relevant when it comes to commercial vehicles, you'll be pleased to learn that the Ranger is one of the most nimble pick-ups. Turn in to a tight corner and it's easy to appreciate the steering's accuracy and response, as well as the Ranger's resistance to body lean. Most models come with four-wheel drive and the option to lock the differentials or engage hill descent control if you find yourself really roughing it, but we'd recommend keeping your Ranger in two-wheel drive mode on the road. This helps it to steer with greater finesse at low speed (in four-wheel drive, it won't turn as sharply) and use less fuel. 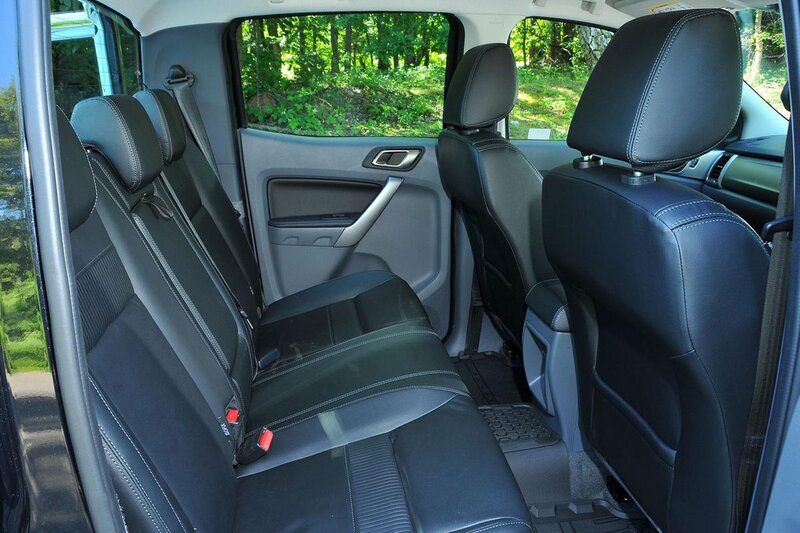 As with most pick-ups, you must be aware that if there’s nothing in the cargo bay, the light back end will mean the rear wheels will lose grip quite readily on a greasy road.